German Hanging Bridge. Kamerun 2016 © Andréas Lang. Supplied by Deutsches Historisches Museum. AT the entrance to the recent ‘Cameroon and Congo’ exhibition of photography in the Deutsches Historisches Museum, a video installation of a rope bridge buffeted by a tropical storm greeted visitors. The dangling bridge represented the legacy of German colonialism in present-day Cameroon and neighbouring countries, a presence that dated from 1884 until 1916. 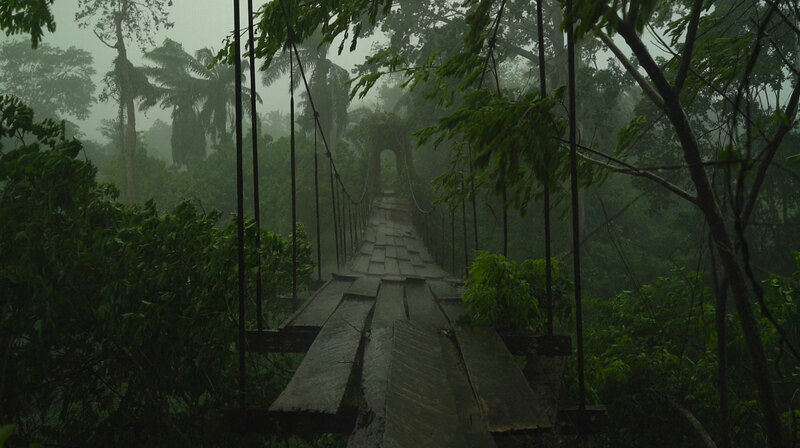 The bridge depicted by photographer Andréas Lang was in decline: boards peeled away from the once-solid construction, and jungle branches lashed at the ropes, the landscape slowly consuming an artefact of invasion. The oscillation of the video screen, suspended by thin wire cords from the ceiling, heightened the sense of disorder in the landscapes captured by Lang. In the attic of his family home, he found a diary and photos from his great-grandfather’s service in the German colony of Kamerun in Central Africa between 1912 and 1913. The photographer’s project of works from his travels through Cameroon, Chad, Republic of Congo and the Central African Republic sprouted from archival debris. In the attic of his family home, he found a diary and photos from his great-grandfather’s service in the German colony of Kamerun in Central Africa between 1912 and 1913. The haunting jumble of photos, as well as images by his peers, featured in a slide show in the exhibition alongside Lang’s contemporary works. Here, in the cool gallery of this Berlin museum, they depicted a clash of figures: European wives and daughters wearing delicate white frocks; Indigenous workers in neck chains beside a railway line; a semi-circle of chained labourers preparing for the night at the foot of a mosquito-netted camp bed on which their German master prepared to sleep; and a local woman draped over a European male lap with an expression that could mean anything from fear to hauteur. Arbeiter und Präsident (Workers and President), Kamerun 2012. Archival pigment print. Andréas Lang. Supplied by Deutsches Historisches Museum. 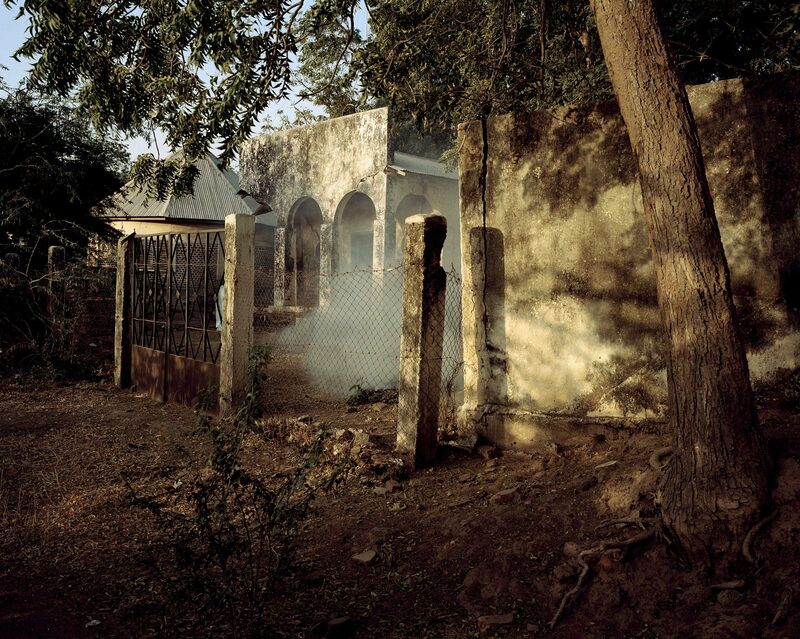 The collection of family photographs became a Pandora’s box of colonial entanglements, inspiring Lang to retrace the path taken by his ancestor during these twilight years of the Scramble for Africa, and to photograph once-colonised towns and landscapes as they are today. He sought out the pieces of German colonialism that today erode into the countryside – bridges, ruins of outposts, gravestones. Against this detritus of empire, Lang also sought to capture the spirit of local people who now own this land. In Lang’s images and videos, these symbols of oppression are just details in the background to a modern, African identity. At the elegantly refurbished Deutsches Historisches Museum, Lang’s ‘Cameroon and Congo’ accompanied a larger survey of Germany’s colonial endeavours, which spanned from Africa to Papua New Guinea. ‘German Colonialism: Fragments Past and Present’ (‘Deutscher Kolonialismus: Fragmente seiner Geschichte und Gegenwart’), showing until 14 May 2017, includes an almost dizzying array of material: objects and images from the colonial period, interpretative panels about the regions, video reflections from Afro-Germans, and more recent artefacts used in political activism. Wide in scope, ‘German Colonialism’ is unified by a coherent postcolonial thread about the mobilisation of history in later periods for socio-political ends. For example, an exhibit of a popular novel series from the inter-war period explores the nostalgia for lost German colonies that accompanied a surge in right-wing nationalism. On the side of the empire striking back, a detailed exhibit about German colonialism in Namibia includes T-shirts printed by political campaigners with historical images of concentration camp survivors from the genocide that took place between 1904 and 1907. And ‘German Colonialism’ also explores how past prejudices can survive at a subtle cultural level, in one case through the racial iconography exploited by the chocolate brand Sarotti. How does one bear witness to the suffering of the railway workers with their neck chains and bellies distended from malnutrition while not adding to the original violence of the photograph? Such exhibitions, of course, raise questions about the degree to which contemporary display within a European space replicates the colonial gaze of an earlier period. In the case of ‘Cameroon and Congo’, how does one bear witness to the suffering of the railway workers with their neck chains and bellies distended from malnutrition while not adding to the original violence of the photograph? 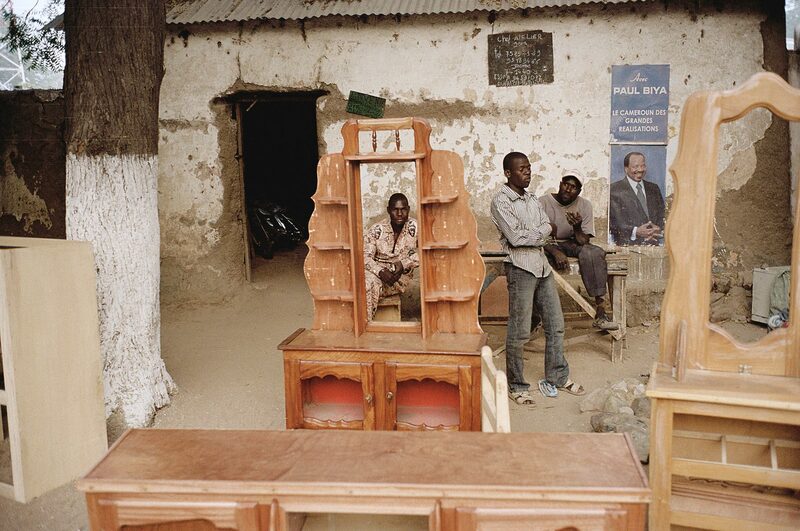 And did Lang’s journey into Central Western Africa re-enact his great-grandfather’s foray into the ‘exotic’? Nevertheless, Lang’s exhibition gracefully presented a narrative of empowerment, with portraits of modern-day Cameroonians as agents in their world – a guard, a teacher, a student, a fisherman’s wife. And many of the figures in the archival photos, including the local soldiers training under German scrutiny, emerge from the ambiguity of the contact zone – agency and structural oppression remain in constant dialogue. Residentur (Residence), Kamerun 2012. Archival pigment print. © Andréas Lang. Supplied by Deutsches Historisches Museum. For many tourists, the city of Berlin stands as a monument to military German history, and most palpably of World War II and of the long segregation that followed with the construction of the Berlin Wall. The East Side Gallery on the River Spree – where a segment of the great grey slab stands coated in optimistic murals that are now themselves historical – reminds visitors how landscapes and objects are inscribed with new meanings. Political movements rise and alter about them, but the thing remains. Such re-inscription resonates through Lang’s exhibition, which opened and closed while Germans debated new questions about national boundaries and belonging triggered by the European refugee crisis. There is no way back from collision. Narratives of violence cannot be undone, although we can strive to meaningfully integrate history into a present that aims for moral equilibrium. As any good environmental historian will tell you, landscape shifts constantly. Soil slips into fresh contours, new plant species arrive and sprawl, rock crumbles with wild weather. The Cameroon that Lang visited is different from the Kamerun scarred by railway chain gangs and brushed by white colonial frocks. Nevertheless, Lang’s immersive exhibition declared the force of landscape as mnemonic. The rope bridge, along with a darkened room in which a prism of videos enclosed visitors into the deep, splashing sounds of a night scene, served as a reminder of the way that fragments of contact and conflict always hover at the edges of consciousness.